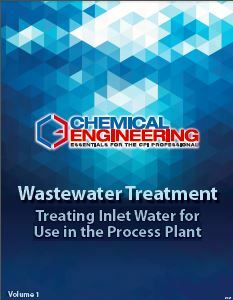 Chemical engineers are routinely tasked with purifying inlet water to suitable purity levels for use throughout the chemical process plant, and treating industrial wastewater to make it suitable for either reuse in the plant or discharge in accordance with all regulatory requirements and sound environmental practices. 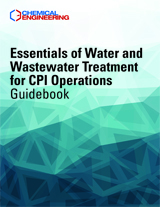 This Chemical Engineering Guidebook contains a collection of practical, tutorial-style articles aimed at professionals involved in purifying inlet water. This collection of engineering articles covers several leading types of equipment that are routinely used to remove particulate matter from water. Covered are the selection, operation and troubleshooting tips for filters, filtration systems and sludge processing. Focus is on biological treatment routes, providing technical recommendations for selecting and optimizing the microorganisms needed to degrade organic contaminants and other chemical pollutants, and engineering recommendations for maintaining and troubleshooting activated-sludge systems. 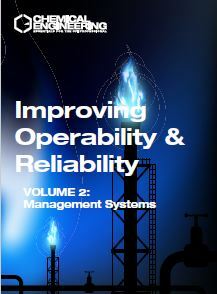 Several articles focus on proper boiler operation and the design of condensate-return systems that are used to produce steam, and provide guidance on pumps, valves and piping, all of which are ubiquitous in any water- or wastewater-treatment system design. 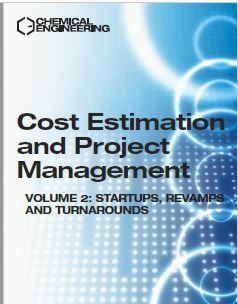 As an added resource, this collection of articles includes practical guidance on project management and cost estimating during capital projects. Delivered in a PDF format, 150 pages.